MediaTek has some decent network products and Asus and Xiaomi have a few midrange routers based on its SoC (system on a chip). Now it looks likely that Microsoft’s One S will use two MediaTek SoCs for wireless connectivity. 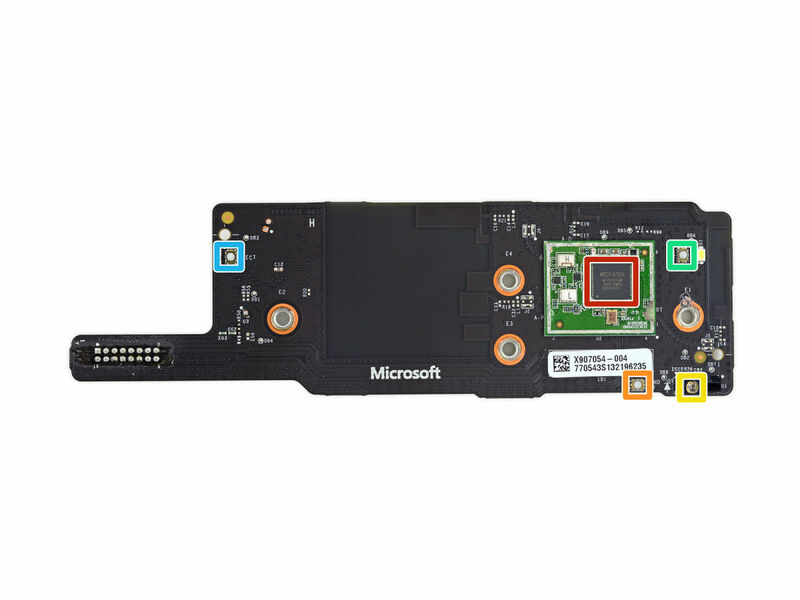 It has been a while since IFIXIT tore apart the Xbox One S but no one really noticed that the wireless component of the console came from MediaTek. The Xbox One S looks like a nice console, worth the investment and was a good design win for AMD as it has an AMD APU inside. There are two chips from MediaTek, inside - firstly, the MT7632TUN, which is probably a variation of the MT7632 wireless chip supporting 2x2 802.11n + Bluetooth 4.0 Module. It is interesting that Xbox uses a 2x2 MIMO approach as this will make the 801.11n wireless much faster than before. The second chip is MediaTek's MT7612UN which is likely a variant of 802.11ac 2x2 MIMO that will again make things much faster in the 5GHz band and getting closer to 1Gbps speeds with the ac. MediaTek won some business with Amazon tablets last year, and adding Microsoft to its portfolio definitely means a lot for the company and boosts its wireless image. Xbox One S should be available in the western part of Europe within the next three weeks and Amazon Germany claims to start shipping on the September 22. US customers can get one today and it starts at $269.99 for 500 GB + Halo bundle and it jumps to $349.99 Xbox One S 1TB Console - Madden NFL 17 Bundle or $359.99 for Xbox One S 2TB Console - Launch Edition.